Bridge mode – This is the default, we saw how this worked in the last post with the containers being attached to the docker0 bridge. 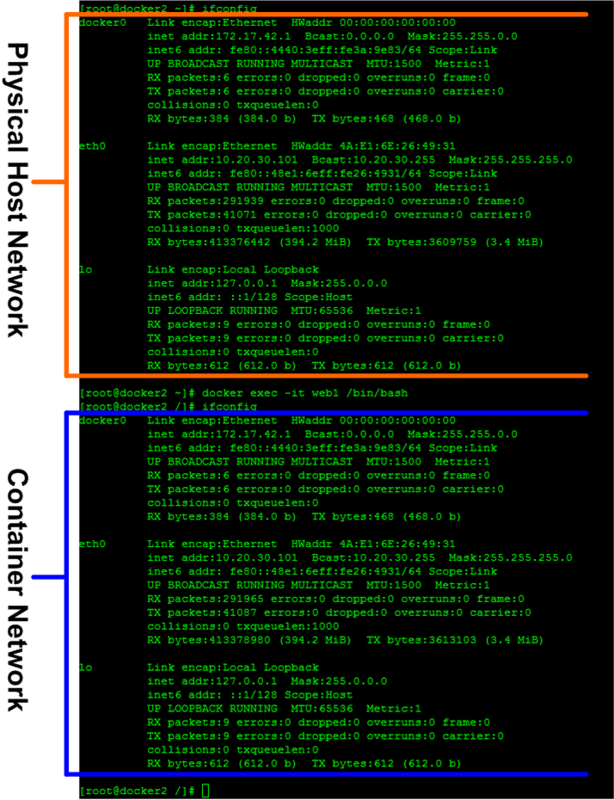 Host mode – The docker documentation claims that this mode does ‘not containerize the containers networking!’. That being said, what this really does is just put the container in the hosts network stack. 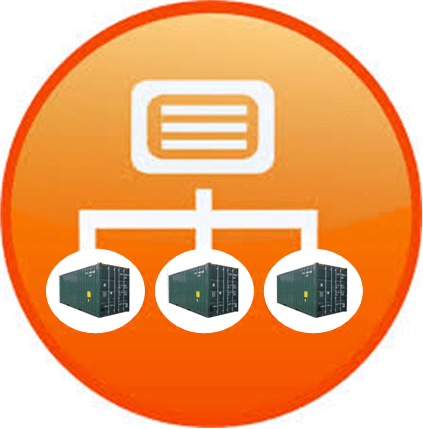 That is, all of the network interfaces defined on the host will be accessible to the container. This one is sort of interesting and has some caveats but we’ll talk about those in greater detail below. Mapped Container mode – This mode essentially maps a new container into an existing containers network stack. This means that while other resources (processes, filesystem, etc) will be kept separate, the network resources such as port mappings and IP addresses of the first container will be shared by the second container. None – This one is pretty straight forward. 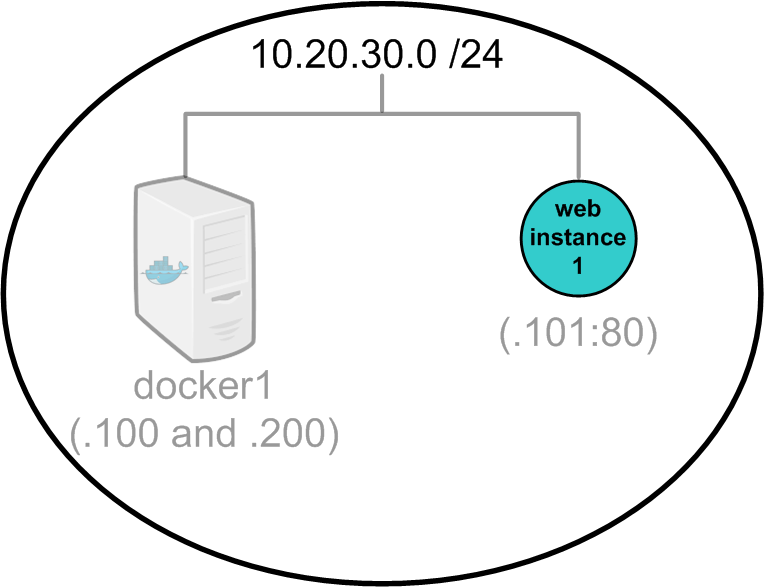 It tells docker to put the container in its own network stack but not to do configure any of the containers network interfaces. This allows for you to create custom network configuration which we’ll talk about more in a later post. Keep in mind that all these modes area applied at the container level so we can certainly have a mix of different network modes on the same docker host. Note that my docker1 host now has two IP interfaces. Other than that, everything is the same. Note: All of the containers I use in these labs are available in my public repo so feel free to download them for testing. There are 4 images I use in this lab all of which are running CentOS with Apache. The only difference is slight configuration changes in the index.html page so we can see which one is which as well as some Apache config which I talk about more below. Note: Interestingly enough you could actually make this rule from the container itself if you were to pass the ‘privileged=true’ flag in the docker run command. While this may seem appealing from a automation perspective it seems unnecessary and possibly a bad idea. The docker2 host is still there but the container is really right up front on the physical edge sine it’s sharing the same network stack as the host. So this all seems very limiting. Fortunately, we do have an option for running multiple identical services on the same docker host. 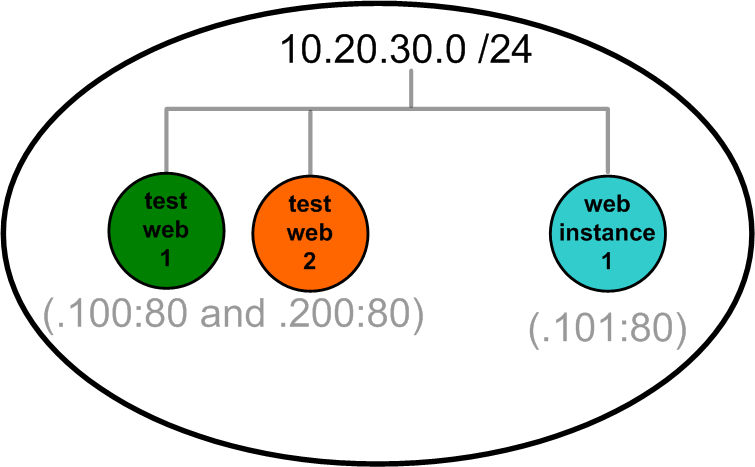 Recall that docker1 now has two IP address, .100 and .200. If we run two Apache instances in host network mode one should be able to use .100 and the other .200. So as you can see, host mode networking is a little bit different than bridge mode and requires some additional config to get it working properly. However, the tradeoff is performance. Containers running in the hosts network stack should see a higher level of performance than those traversing the docker0 bridge and iptables port mappings. Next up we’ll cover the container in container mode of docker networking, stay tuned! Another interesting read. Like the experiment with Host Mode with two containers running on same port with different IP-Address. Is this similar to kubernetes model ? Very similar. Kubernetes uses the concept of pods. From what I understand a pod is a set of containers that can be deployed together on the same IP address. 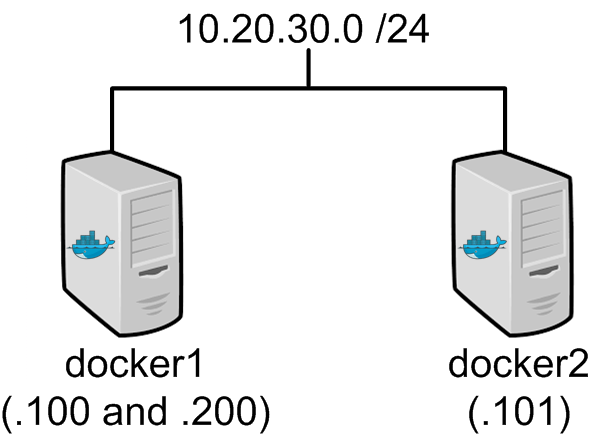 So you might have a container using port 80 and another using port 443 in the same pod. This clears up the port mapping confusion since each IP (pod) should be able to use the real service port. 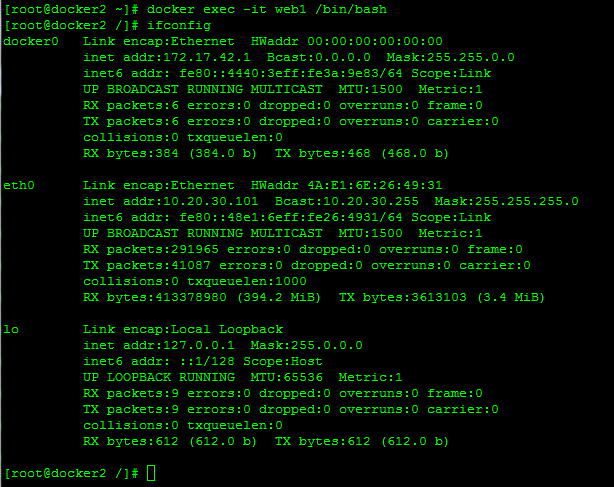 As to the network side of things I believe the pod IPs are just routed to the docker host. Im still playing around with Kubernetes so this is all just my current understanding. I’m hoping to have more time to play around with it in the coming weeks so I can get a blog out on their network model. From whatever limited knowledge i have WRT Kubernetes, multiple pods can be located in the same host. PoD-A with IP-A with have services running on different ports with IP-A and PoD-B with IP-B will have services running on different ports with IP-B. So, the underlying host NIC will have multiple IP’s (IP-A & IP-B) configured. In your example, it is 10.20.30.100 & 10.20.30.200. A socket is defined by IP & Port-No, so with experiment you have done, can we call a socket could be dis-aggregated using dockers ? Im not sure Im completely following but I think you’re driving at what kubernetes can do it terms of pod space being routed. I have a post coming up here shortly that starts the dive into kubernetes so maybe your question will be answered then. Why do you think host mode will have better performance ?. From the post, it seems like host mode still uses IPtables. My thinking was more along the line of the container being in the same network namespace as the host. If you’re using the host IP address then its essentially mapped direct on the host. Do you think it wouldnt be any better than the default modes? fantastic, I like the way you explain docker networking. Great Read. Infact I started off by reading your kubernetes blog, I’m still in the exploring mode- which is better, kubernetes or docker swarm. I’m trying to spin up the container using cassandra image with persistent storage and then link it up with AWS. Yes – 0.0.0.0 means all IP addresses on the host. This can be limited if you like.